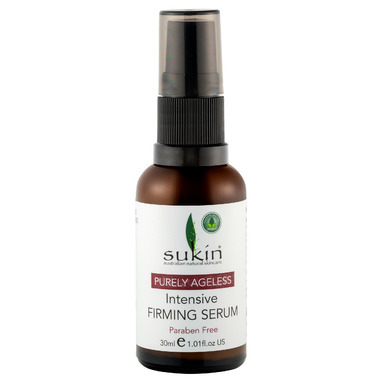 Sukin Purely Ageless Botanical Hydration Booster is rich in argan oil and immortelle to improve skin elasticity and deliver bright, radiant skin. A 100% natural elixir, rich in argan oil and immortelle formulated to help improve skin elasticity and deliver bright, radiant skin. Application: Apply after cleansing and follow with your favourite moisturiser. Re-apply when skin craves a moisture burst or when travelling in dry air environments. Ingredients: Simmondsia Chinensis (Jojoba) Seed Oil, Prunus Amygadalus Dulcis (Sweet Almond) Oil, Decyl Oleate, Argania Spinosa (Argan) Nut Oil, Helichrysum Italicum Extract (Immortelle), Retinyl Palmitate (Vitamin A), Rosmarius Officinalis Extract (Rosemary), Tocopherol (Vitamine E), Rosa Damascena Flower Oil (Rose), Cananga Odorata Flower Oil (Ylang Ylang).